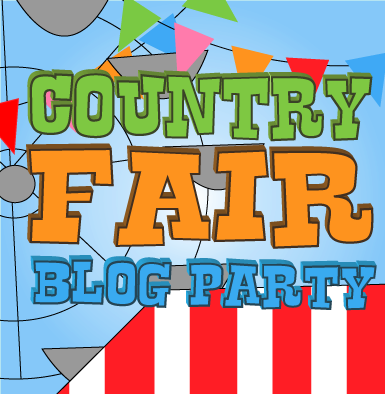 Welcome to January's Country Fair Blog Party, where we invite you to join us in sharing what you've been up to lately! As we begin a new year, we also take a moment to reflect on the Holiday season we just finished. What did you do special? What was your favorite recipe, craft or idea you blogged about last month? What are you doing different for the year ahead? This is my first Christmas as a Gramma! My daughter is a preschool teacher and one of her little students came to school one day sharing a jar of "Gram Jam" and some crackers. Every year his grandma sends each family a few jars of her homemade jam as a holiday gift. She inspired me to begin my very first tradition as a gramma. I sent out "Gram Jam"this year! This year I sent a jar of homemade grape jelly and a jar of homemade Apple Pie Filling as my "Gram Jam" tradition begins. Yes I realize, Apple Pie Filling is not "Jam', but it was my first year canning it, so I wanted to send them a jar to enjoy! 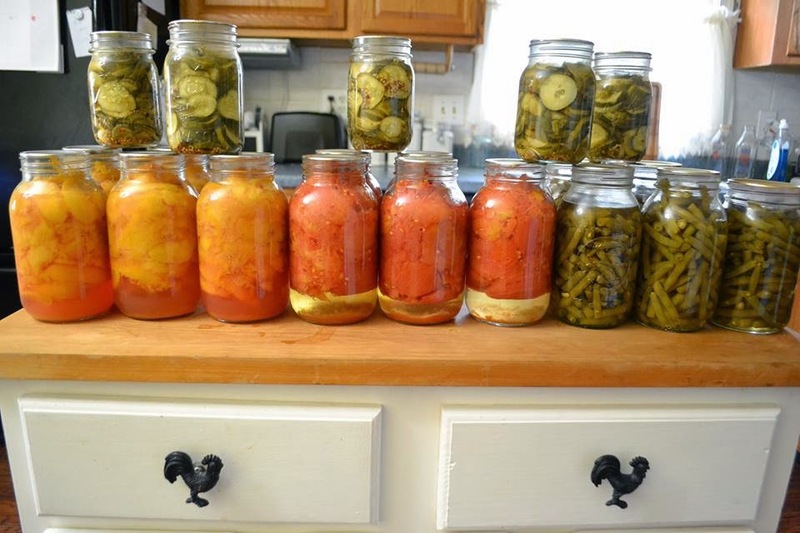 a sampling of some of my canning from over the summer. A few of my favorite posts from Decembers Link up! These easy and simple cloth gift bags are right up my alley! These yummy Freezer Hashbrowns are something you know I am a fan! Stocking your freezer with just a tiny bit of work will have you saving money and time later on!